Panasonic has announced two full-frame mirrorless cameras Lumix S1 and Lumix S1R. Both the cameras come with 35mm full-frame CMOS sensor and new L lens mount developed through an alliance between Leica, Panasonic, and Sigma. 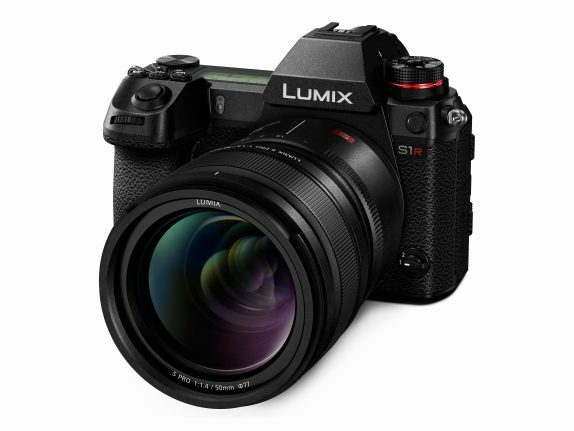 Lumix S1R and S1 are effectively identical. Panasonic claims that the magnesium alloy bodies of the cameras are sealed against dust and moisture. Both the cameras pack Body Image Stabilizer (combination of 5-axis Image stabiliser and Dual I.S) to effectively compensate for the hand-shake movement and remove virtually any types of blur. Lumix S1R features a 47.3-megapixel full-frame CMOS sensor. It can record 4K 60p video at a crop with pixel binning. It features a High-Resolution mode for the first time in mirrorless full-frame camera to enable 187-megapixel ultra-high precision photo shooting. Lumix S1 comes with a 24.2-megapixel full-frame CMOS sensor. It can record smooth 4K 60p video with full-pixel readout. It will also comply with 4:2:2 10-bit 4K 30fps/25fps internal video recording an 4K 60fps HDMI output. The S1 and S1R both feature high-resolution 5.76M-dot OLED viewfinders and the company claims it to be the world’s highest resolution of a viewfinder. Settings of a Lumix S1R or S1 camera can also be copied and transmitted wirelessly to other S1R and S1 cameras. Both the camera come with Bluetooth 4.2 and WiFi (2.4 + 5GHz) connectivity for quickly transfer photos and videos from camera to smartphone.